In less than half a decade, Mazda has reinvented itself. Driving satisfaction remains core to the brand's identity, but now design, efficiency, and technology are also hallmarks of the company's products. Mazda's transformation began in 2012 with the introduction of the current-generation Mazda CX-5 compact, 5-passenger crossover SUV for the 2013 model year. The automaker's Kodo design language debuted on the CX-5, as well as a new family of SkyActiv engines built to deliver improved gas mileage without any loss of performance. Now in its fourth year of production, the Mazda CX-5 receives several improvements intended to refine its appearance, enhance its functionality, update its technology, and polish its driving dynamics. For this review, our expert evaluated a 2016 Mazda CX-5 Grand Touring with front-wheel drive, a Grand Touring Technology package, i-ActiveSense package, and a cargo tray. The price came to $32,180, including the $880 destination charge.Before we discuss the results of our evaluation of the refreshed 2016 CX-5, it is helpful to understand who bought the previous version of this SUV and what they liked most and least about their Mazda SUV. According to J.D. Power research data, buyers of the Mazda CX-5 skew male, younger, and more affluent than the average compact SUV buyer, with a significant increase in Gen Y1 owners, compared with the segment as a whole. CX-5 owners are more price- and performance-oriented than the segment average and are less likely to view a vehicle as just a way of getting from place to place. According to the results of the J.D. Power 2015 U.S. Automotive Performance, Execution and Layout (APEAL) Study,SM Mazda CX-5 owners say that their favorite things about their vehicles are (in descending order) the exterior, driving dynamics, interior, visibility and safety, and storage and space. Their least favorite things are (in descending order) fuel economy, infotainment system, climate system, engine/transmission, and seats. Notably, in the 2015 APEAL Study, the Mazda CX-5 led its segment in terms of overall appeal. In fact, the only aspect of the CX-5 that owners rated lower than the segment average related to the vehicle's infotainment system. Six of the 10 greatest opportunities for vehicle improvement, according to the study, related to the infotainment system. In the sections that follow, our expert provides his own assessment of how the updated 2016 CX-5 compares with the compact SUV segment in each of the 10 categories that comprise the 2015 U.S. APEAL Study. As has been true since it debuted for the 2013 model year, the Mazda CX-5 looks terrific. This is a beautifully balanced design, exuding character and good taste while demonstrating restraint. Mazda should have donated last year's 19-in. wheel design to the Touring trim level, even as an option, giving buyers of the popular mid-grade variant an easy way to improve the SUV's look and stance. Exterior styling enhancements for 2016 are most noticeable on the Grand Touring trim level, which adds stylish new 19-in. aluminum wheels with a machined finish and dark gray painted wheel centers. 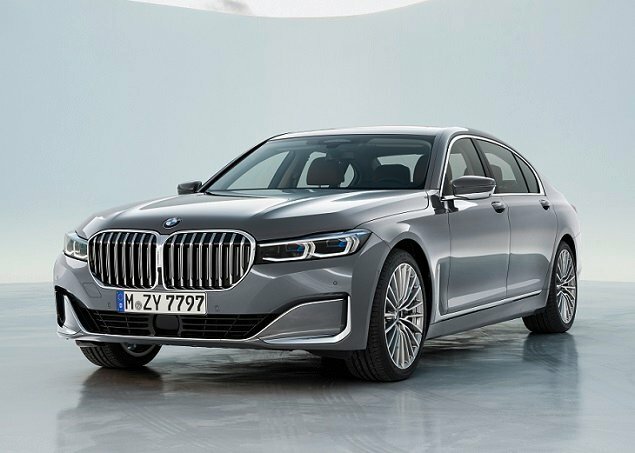 The grille design is updated, and when the Grand Touring Tech package is added, the appearance is further differentiated through adaptive LED headlights with new LED running light signatures, LED fog lights, and LED taillights. Simple and clean, the CX-5's interior imparts a sense of refinement and class, looking more expensive and upscale than it really is. Especially when equipped with the new Parchment leather color, which results in an appealing, high-contrast, 2-tone look for the cabin, it would be easy to convince someone that a CX-5 Grand Touring is actually a luxury model. Instrumentation is clear, the climate controls are easy to find and use, and the CX-5's center console is updated to accommodate the new Mazda Connect infotainment system's primary controls. Mazda also provides soft places on the center console and the door panels for resting elbows and arms. Identified as an opportunity for improvement, the Mazda CX-5's seats get an overhaul for 2016. Updates to the seat structures are intended to provide better fit and greater comfort, and the rear-seat cushions are longer to improve support and supply a more natural seating position. Based on my evaluation, the CX-5 Grand Touring provides a perfect driving position, and comfort levels are excellent. Seat bolstering still doesn't hold the driver in place as well as it should when whipping the CX-5 into a hard left turn, and ventilated front seats are not available for hot summer days, but otherwise this SUV is nicely executed. Just keep in mind that a front passenger's seat adjuster is offered only for Touring and Grand Touring trims. Though improved for 2016, the CX-5's rear-seat cushion remains low in the vehicle to ensure a flat load floor when maximum cargo space is desired. People with long legs do enjoy improved thigh support, although shin space remains snug. Equipped with a dual-zone automatic climate control system, the CX-5 Grand Touring offers set-it-and-forget-it convenience. Large knobs provide easy access to temperature adjustment, and heated front seats are included with the Grand Touring trim. Missing from the options list, though, are ventilated front seats, heated rear seats, and a heated steering wheel. With owners identifying the infotainment system as a significant opportunity for improvement, the 2016 CX-5's new Mazda Connect technology is critical to improving owner satisfaction. Mazda Connect uses a tablet-style display mounted at the top of the dashboard, controlled using the touch-sensitive screen, voice-recognition capability, steering wheel controls, and controls on the center console. The touch screen is not active when the car is moving in order to reduce driver distraction. Highlights of the system's functionality include HD Radio, access to popular Internet radio platforms, text-message delivery and reply, reversing camera, and an E911 automatic emergency notification system. Owners also use Mazda Connect to adjust settings for a wide range of vehicle features. A Bose Centerpoint surround-sound system and satellite radio are available, along with a navigation system that uses 2-D or 3-D maps with remarkably detailed topography and speed-limit notifications. In my opinion, the new Mazda Connect infotainment system is a big improvement in terms of features, functionality, and sophistication. However, full acclimation takes time. I strongly urge CX-5 buyers to spend time at the dealership learning how to set up the system to fit their own needs. As for the controls, my preference is to use those on the center console, which I learned how to operate solely by touch. The problem in the CX-5 is that they are located so far back on the console that they're hard to use when resting an arm on the center armrest. Unquestionably, the Mazda CX-5 is one of the smaller members of the compact crossover SUV crew. But the automaker does the best it can in terms of carving out storage space, and most of the trays, bins, and cubbies are lined with rubber or felt to reduce noise from vibration–except for the little coin tray. That's an odd omission. Cargo space measures 34.1 cu. ft. behind the rear seat and 65.4 cu. ft. with the rear seat folded down. This is about average for the segment, and the space is usefully shaped. A 40/20/40 split-folding rear seat is standard equipment for the Touring and Grand Touring trim levels, replacing the Sport trim's 60/40 split-folding rear seat. The benefit here is that four occupants can ride in comfort with longer items slid between the rear-seat occupants. Forward visibility in the CX-5 is excellent, and huge side-view mirrors make it easy to see to the sides of the vehicle. The rear headrests block some of the view to the rear, but most CX-5 trim levels include a reversing camera that offers a clear, 180-degree view of what's behind the SUV. Mazda equips the Touring and Grand Touring versions with a standard blind-spot warning system with rear cross-traffic alert. Optional for the Touring and Grand Touring, the automaker's Smart City Brake Support (SCBS) system can detect obstacles at low speeds and automatically activate the brakes to avoid a potential collision. This is included in the Technology package, along with adaptive LED headlights that help drivers see around dark corners at night. Exclusive to the Grand Touring equipped with the i-ActiveSense package, Mazda's new Smart Brake Support with Collision Warning system works at higher vehicle speeds than does SCBS. It also sounds a warning prior to automatic emergency brake activation. This package also contains an adaptive cruise control system with close proximity warning and distance-recognition support, and a lane-departure warning system. During my testing, the lane-departure warning system emitted frequent and intrusive aural warnings, combined with what I perceived to be multiple false alarms; so I shut it off. The adaptive cruise control system worked beautifully, in smooth and responsive fashion. However, while bending around a curve on a multi-lane section of Pacific Coast Highway near Malibu, California, the system locked on to the slower vehicle in the right lane as I rounded the curve in the left lane. As a result, the CX-5 braked and refused to pass the slower car, aggravating drivers in the vehicles behind the Mazda. Not good. Unfortunately, the 2016 CX-5 does not perform as well in federal government crash testing as it did in 2015. Though structurally unchanged, the front passenger protection rating in a frontal-impact collision drops from a highest-possible 5-star rating last year to a 3-star rating this year. This impacts the CX-5's overall crash-test rating from the National Highway Traffic Safety Administration (NHTSA), too, reducing it from 5 stars to 4 stars. Fortunately, the Insurance Institute for Highway Safety (IIHS) finds that the 2016 CX-5 is a "Top Safety Pick" for 2016, and that the new Smart Brake Support with Collision Warning system earns a "Superior" rating for its ability to prevent a crash from occurring in the first place. Mazda installs a 155-horsepower, 2.0-liter 4-cylinder engine in the CX-5 Sport with front-wheel drive and a 6-speed manual gearbox. 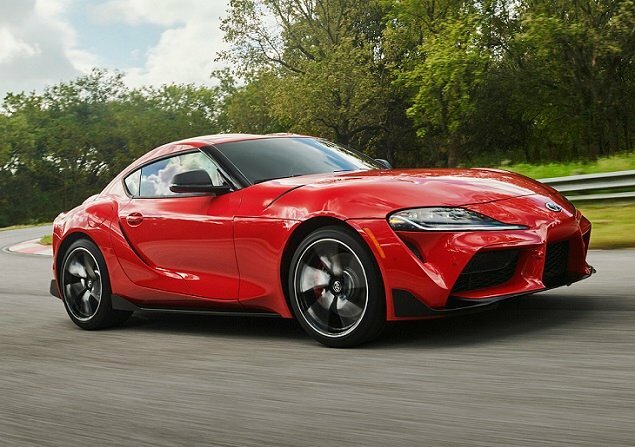 All other versions, including the Sport with an automatic transmission, get a more powerful 184-horsepower, 2.5-liter 4-cylinder engine. For 2016, the automatic transmission earns a sport driving mode, which is activated using a chrome switch on the center console that looks just like the power window control from a 1975 Cadillac. Without the sport mode activated, the 6-speed automatic is calibrated to upshift rapidly to conserve fuel, but quickly adapts to a driver with a heavy right foot in order to provide sprightly acceleration. Change to sport mode for livelier powertrain response. Unfortunately, the software tends to hold engine revs too high for too long, a situation that could be remedied by steering wheel shift paddles. Unfortunately, shift paddles are unavailable, forcing the driver to use a manual shift gate with a counterintuitive shift pattern that requires the driver to push the gear selector forward, or up, in order to downshift and to pull the gear selector back, or down, in order to upshift. See? It's hard to read and comprehend that description. Imagine trying to shift the right direction when you're hustling down a favorite back road. Mazda would do itself a favor by restating the CX-5 fuel-economy ratings. This is a significant source of discontent among CX-5 owners, and in my experience the SUV can't match expectations set by the EPA. The official fuel-economy estimates for the front-wheel-drive vehicle I tested are 26 mpg city, 33 mpg highway, and 29 mpg in combined driving. I averaged 25.5 mpg over the course of 500 miles of travel, with an emphasis on highway driving. The transmission was in its normal mode of operation the majority of the time. 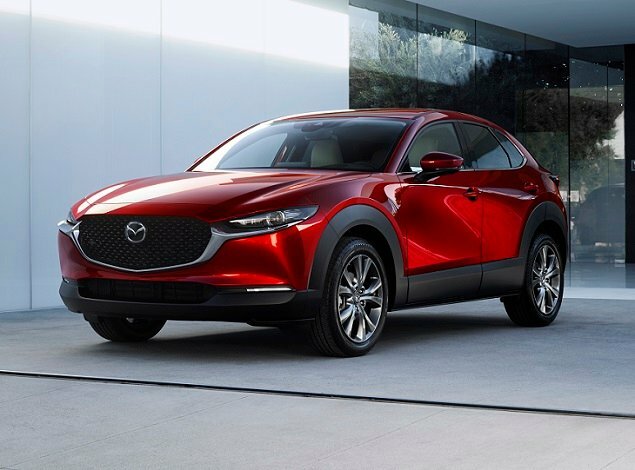 "Driving Matters" has replaced "Zoom Zoom" as Mazda's advertising tagline, and with the CX-5 Grand Touring the automaker fulfills the promise in many respects. From zippy acceleration and decisive shifting to perfect steering, outstanding brakes, and a firm suspension, the CX-5 is engaging to drive. Perhaps this should come as no surprise: the CX-5 shares a platform with the Mazda 3, the track pushed a little wider to help compensate for increases in height and the center of gravity. It isn't enough. Excessive body motion gives the CX-5 a bouncy ride, and body roll encourages the driver to keep speeds down in corners and on curves. Plus, the CX-5 Grand Touring's Toyo A23 P225/55R19 all-season tires fail to engender trust when rounding kinks in the road. As a result, and when taking the long way home, this is the least enjoyable member of the 2016 Mazda lineup to drive. Of course, we haven't sampled the redesigned Mazda CX-9 yet, which is built on the Mazda 6 platform. No doubt, the 2016 Mazda CX-5 should continue to impress the people who buy it. Mazda has made both subtle and substantial improvements to its popular compact crossover SUV, and the result is a vehicle that looks and feels like a value, even at sticker price. While degradations in driving enjoyment are common when comparing crossovers and cars, it is not a given. More concerning, however, is the CX-5's inability to match its official EPA city fuel-economy rating, let alone its combined driving rating, as well as the mysterious drop in crash protection according to the NHTSA. As long as buyers are willing to accept these flaws, and to take the time to get the Mazda Connect infotainment system properly set up and to learn how best to use it, then CX-5 ownership should prove quite rewarding. Mazda North American Operations supplied the vehicle used for this 2016 Mazda CX-5 review. 1J.D. Power defines generational groups as Pre-Boomers (born before 1946); Boomers (1946-1964); Gen X (1965-1976); Gen Y (1977-1994); and Gen Z (1995-2004).